This light-hearted montage documentary was compiled out of archive footage shot by operators of the Polish Film Chronicle. 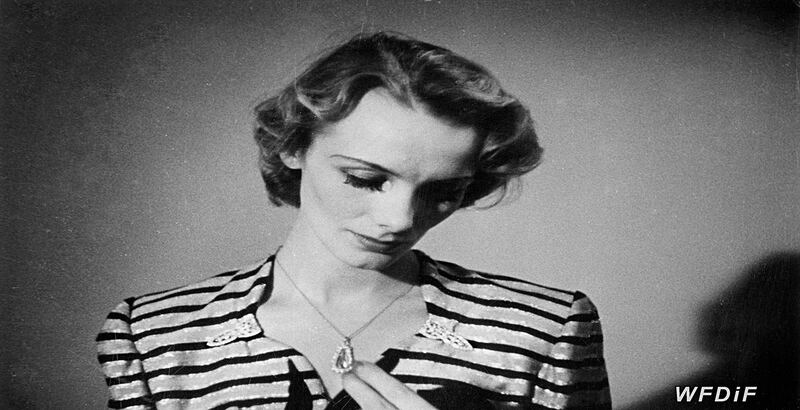 It uses past fashion trends to comment on lifestyle changes from the end of World War Two. Fashion becomes a vehicle for Kwiatkowska to give an account of the slow rise of consumerism, where the young in the nation became fascinated with the popular entertainment coming from the West. Made by seven women and three men, who are all named in the final credits, the film focuses on the everyday life of the female in the capital city. While the director comments on different fashion trends and their popularity, she also highlights the material progress that made women’s lives more comfortable. Unusually for the 1960s, the short is narrated by a female, who from the starts speaks for all women in the city: ‘It was 1945. This is what we looked back then. In such outfits, we were coming back to Warsaw’. 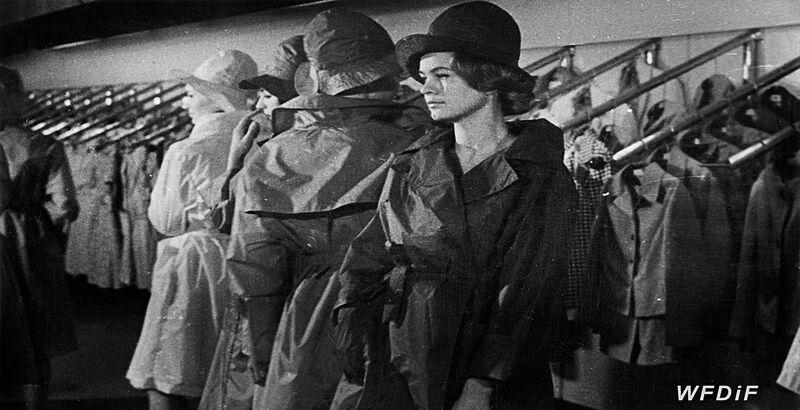 Having presented stills from the capital after liberation with women dressed in worn, oversized winter coats, Kwiatkowska swiftly cuts to footage of flea markets where, among the ruins, more fashionable ladies browse through the stands to find the most suitable clothes. 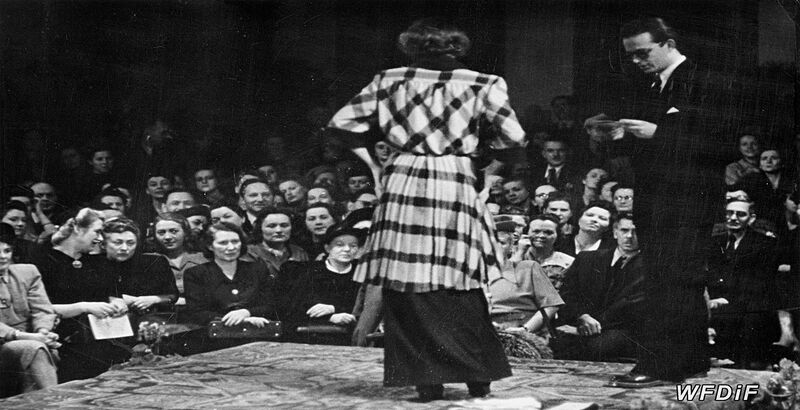 A few shots from the first fashion shows and hairdressing competitions in the 1940s play to witty remarks from the commentator, who sets them against shortages in the clothing market of that time. A minute later, Kwiatkowska celebrates the arrival of shops with textiles and female apparel by crosscutting their windows and interiors with images of elegantly dressed, smiling young women. The opening of Polish Fashion/Moda Polska—the first designer house that was modelled on similar Parisian venues—becomes the highlight and the conclusion of the first half of the film. From then on, the film offers an account of the Polish women’s hunger for consumer freedom and a connection to the rest of the world. We see queues in front of newsstands when a new issue of the popular magazine Around the World/Dookoła świata goes on sale. This is followed by shots of international students dancing in the streets of Warsaw during the youth festival of 1954. The footage reveals girls showing affection for foreign male students, causing outrage among older passers-by. 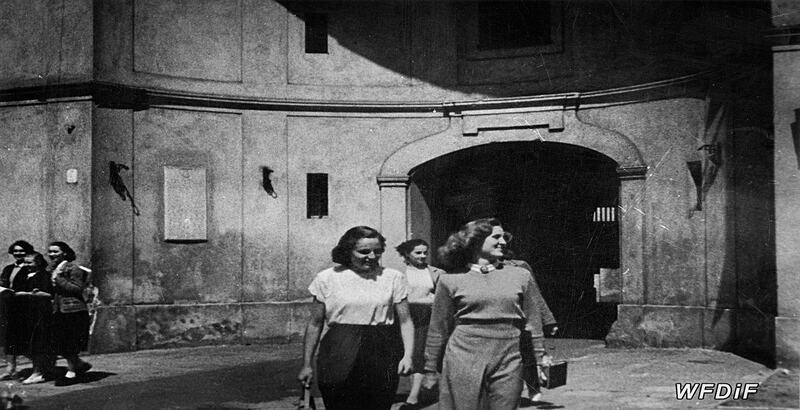 The fashionable young women appear eager to welcome foreign influences in Poland. Then Kwiatkowska offers shots from the 1950s jazz and rock’n’roll clubs, where western like dresses spin in front of the camera. The commentator informs that before the arrival of department stores, to match the looks of western stars took hours of scavenging through small shops and markets. This is why in the 1950s, Polish women were creative with their imitations of western styles that came with stars such as Brigitte Bardot and Marina Marini. To evidence different types of creativity and further lifestyle changes, several sequences in the film bring together cigarettes, lollipops, polyamide raincoats, trendy new headscarves, fashion shops and department stores, mini-dresses, and twist dancers. As the narrator states, over the twenty post-war years, the lifestyles of women in Warsaw changed beyond recognition. Western-inspired fashion started to be an expression of femininity. In many ways, it became an individualist, confidence-boosting performance that resisted political ideologies of uniformity, as well as any visible or invisible signs of suppression of the female. As Kwiatkowska shows, fashion was a remedy for the often depressing realities where the double burden of work stripped some women of other enjoyments. This is signalled in the closing lines of the film: ‘What hasn’t changed is our feminine charm in Warsaw, where life isn’t easy and where time flies… Fortunately, we’re still convinced that we have a reason for living so fast’. 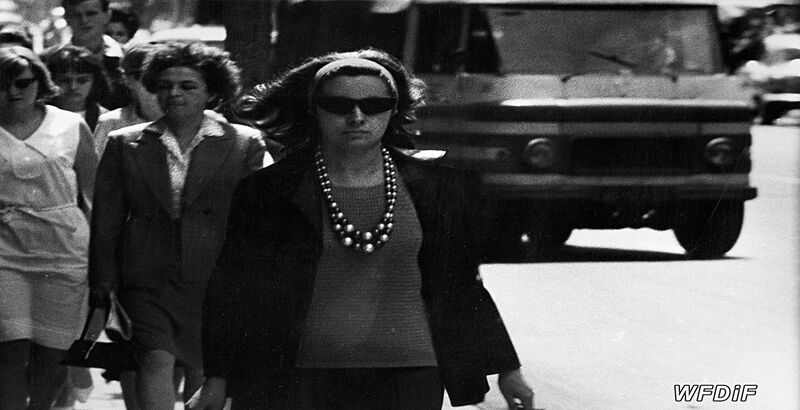 In the end, confident, elegant women keep walking through the streets of the city.